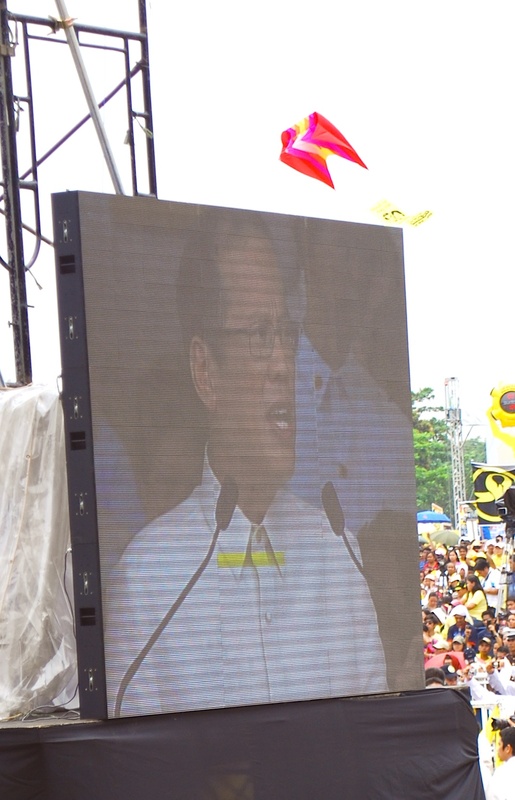 Benigno Simeon Cojuangco Aquino III was inaugurated yesterday as the Philippines’ 15th President. In his speech, he mentioned what his administration will look like. It would be a transparent administration. A government that is for and by the people. He will address corruption, tackle problems on unemployment, poverty and hunger. He wants us to help him build a New Philippines (Bagong Pilipinas). I agree that our current President needs the help of the Filipino people to raise our country’s quality of life. But what can we do to help our President to save our beloved country? As an ordinary citizen, I thought of simple things we can do to help our country. How do we do this? We should respect the Philippine Flag. When our National Anthem is playing, we should stop everything we’re doing, face the flag (if no flag, imagine one) and sing along. Last night, hubby and I caught a movie on its Last Full Show schedule. It dismayed us to see people chatting, walking around, munching on their food, sitting down while our National Anthem was being played. It seemed that they have lost their respect for their country. Respecting the National Anthem is the most basic way to show our love for country. How can you hope for anything good for the Philippines if the respect isn’t there? As Jesus said, the first commandment is to love God. Next is to love thy neighbor. I do believe in showing your love for other people by respecting them. Filipinos are known to be naturally hospitable. But I always see people being arrogant, obnoxious and plain rude to others. It’s so sad that some of us feel the need to undermine others just because we feel more superior than them. A classic example, in the grocery while I was lined up at the cashier, my son (Chito) and his nanny were by the vegetable section. Chito loves to play the game, name the vegetables. There was a middle aged lady who was shopping in that area. Chito wanting to pass said excuse me to the lady and tried to pass through together with his nanny. This lady suddenly blurted out “Wag nyo nag ako distorbohin at aka malintikan kayo sa akin”. When my son’s nanny tried to reason out with her apologizing and saying that Chito just wanted to pass, this lady suddenly said “Ahhh…gago kang yaya ka ha! Yaya ka lang, baka gusto mong matamaan?”. Clearly, the lady felt that since she was only dealing with a helper, she could trample on the persona of my son’s nanny. We do not need this kind of negativity. We need to surround ourselves with positivity and to value people around us. Bribery no matter how small is bribery. If you want to cut corruption, you should start with yourself. 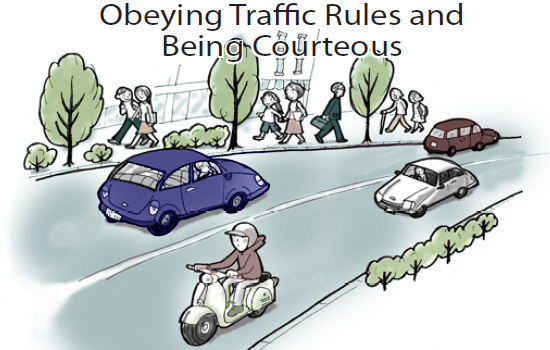 If you do not want to be in the position of bribing a traffic officer or an MMDA enforcer, do not break traffic rules. If you happen to find yourself in a situation wherein you broke a traffic rule accidentally, try to talk to the enforcer to explain your side. You would be surprised that most of them would actually give you a break. Promise not to do it again and accept whatever his judgement is.If he let’s you go with just a warning, good for you and commit to yourself not to do it again. If he gives you a ticket, accept it and be on your way, learning your lesson again. If they ask for money, tell them no and just ask for a ticket. Get their names and immediately report them. We do not need people like these in government. I don’t understand why we continue to import fresh produce such as garlic, onions and even rice! They are sold in stores even cheaper than our own products. To think we are suppose to have a good agriculture sector! I have to admit that I used to buy garlic from Taiwan. I was ignorant on how buying imported goods can kill our agriculture economy. Ignorance is not an excuse. As soon as I found out, I immediately stopped buying imported fresh produce and proudly shifted to genuinely Filipino items. Even on non-food items such as lotion, bugs spray, lip gloss etc., I shifted to proudly Pinoy made items. An example would be items from Human Nature, a brand from a company called Gandang Kalikasan Inc., a Pro-Philippines, Pro-Poor and Pro-Environment company. They built a company employing Gawad Kalinga residents to grow organic raw materials for their cosmetic products. Their products as affordable, excellent quality, organic and best of all, Pinoy-made. Check them out at http://www.humanheartnature.com. 5. Teach your children to follow your footsteps by following the law and loving their country. Our children’s the future of our country. We have to teach them the basic foundation to ensure that they too will have a great country to live in. I can think of other things that I can do but for now, I will start with this simple list.